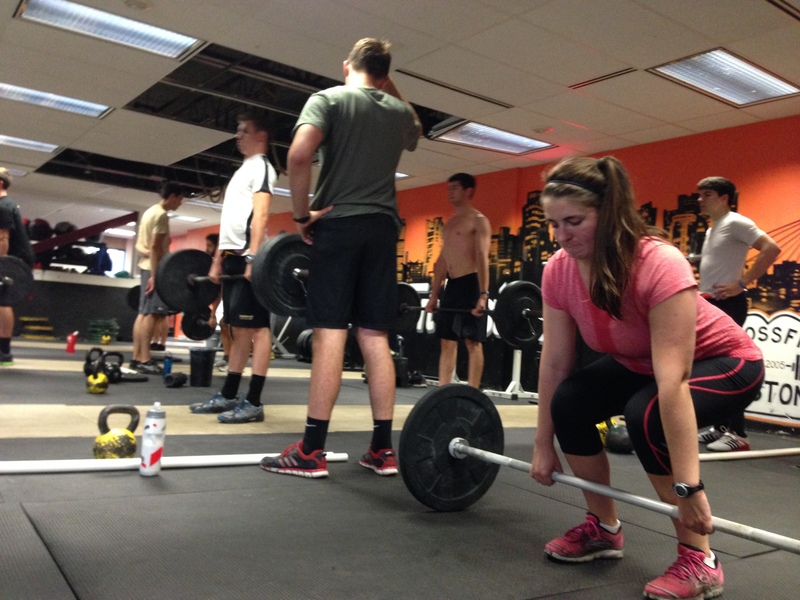 Coxswains getting after the Deadlift last winter! Today’s Rowing WOD is an opportunity to focus on consistent speed and intensity. During the Deadlift find a smooth rhythm and keep a tight midline so that you can touch and go unbroken for all 15 reps. Try to feel the amount of pressure you have to put into the floor and the bar each rep. If you can anticipate and maintain even pressure through each lift you’ll be able to save energy and go faster. When getting back on the erg try to feel the same thing. Try to push the same amount each stroke and transfer the same amount of pressure to the handle each time. Remain efficient on the erg by holding one split, as low as possible, through each piece. Keep working on good form and do so at the highest intensity possible. That’s how you’ll start to drop your 500m, 1k, and 2k times from yesterday. Remember, if you’d like to get on the water with the Renegade Rowing Team, sign up here and come ready to throwdown next Thursday, July 17th @5:30am @CRI. Post your overall time, load, and average splits for each piece to comments.